Kaley Ann Voorhees, the silver-voiced star who currently serves as the Christine Daaé alternate in Andrew Lloyd Webber's The Phantom of the Opera, will assume the regular slot as Christine in the long-running Broadway hit directed by Harold Prince beginning on November 19. 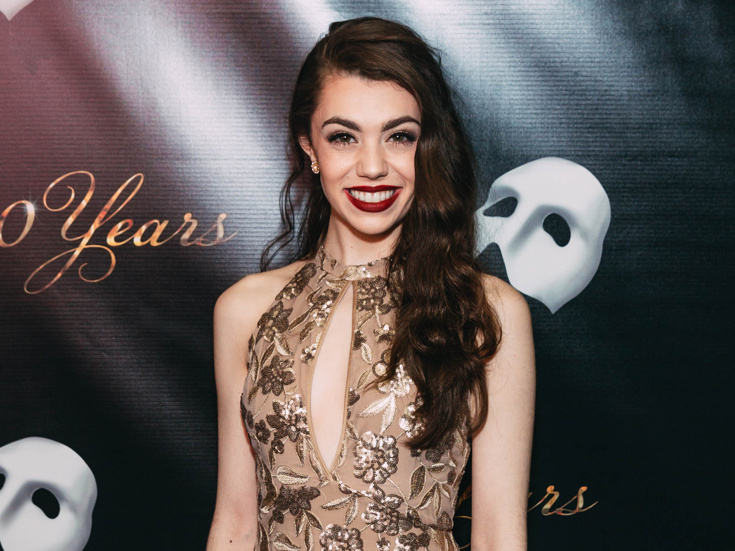 Voorhees takes over for Ali Ewoldt, who will play her final performance in the role on November 17, with Eryn LeCroy making her Broadway debut as the Christine alternate beginning on November 21. "I'm so excited to be starting my next chapter at Phantom!" said Voorhees in an exclusive statement. "It holds such an important place in my heart, and I'm incredibly thankful to be a part of it. Christine is near and dear to me. I started with the show when I was twenty, and my Christine has changed and grown so much since then. I'm thrilled to see where she goes next! Phantom has definitely changed my life, and I can't wait to be in the building more to hopefully help impact people in the way it has impacted me!" Voorhees made her Broadway debut in The Phantom of the Opera as the youngest actress to play Christine in the New York production. She also appeared in the Harold Prince revue Prince of Broadway and made her opera debut this winter in New York City Opera's Candide. Also new to the Phantom company, beginning on November 20, will be Kelsey Connolly in her Broadway debut as Meg Giry. She will succeed Kara Klein, who played her final performance on June 23. Since then, the role has been played by Polly Baird and Jessica Bishop. The current cast of The Phantom of the Opera also includes Ben Crawford in the title role, Jay Armstrong Johnson as Raoul, Laird Mackintosh as Monsieur Andre, Craig Bennett as Monsieur Firmin, Raquel Suarez Groen as Carlotta, Carlton Moe as Piangi and Maree Johnson as Madame Giry.